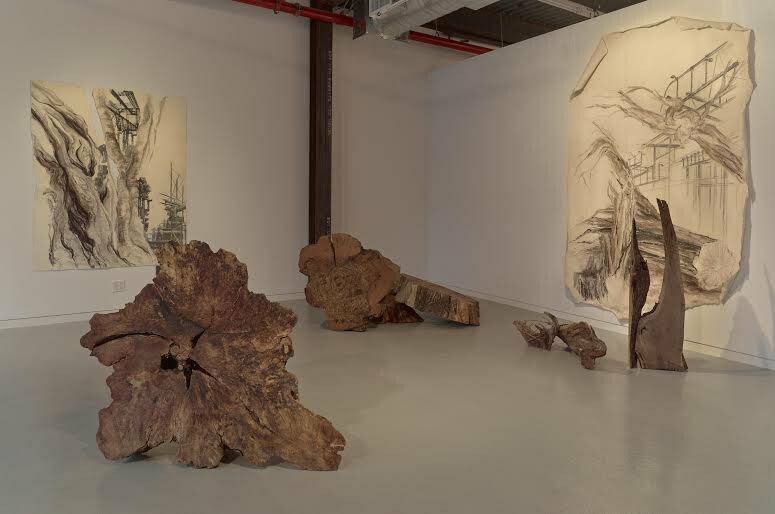 Just as new restaurants, bars, shops and markets continue to pop up like mushrooms all over town, the Bushwick art openings are keeping the holiday madness going through the weekend. We're also sharing recommendations on what to see during weekend gallery hours, plus another artist talk is in the que. 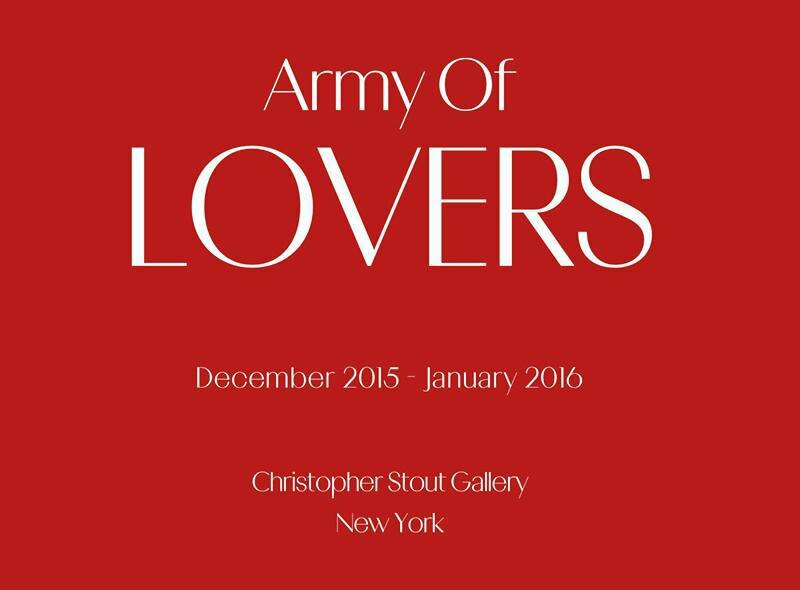 The December/January show, "Army of Lovers" opens Friday night at Christopher Stout Gallery (CSG/NY) with new works by the gallery's member artists, and with additional works by guest artists Lisa Levy, Kenny Colors, Anthony Viti, Cupid Ojala, Reynolds, and Drew Van Diest. Having opened in October, CSG/NY continues to steer through contemporary art with its subversive, hyper-aggressive and mystic works that challenge authority and celebrate the feminist, queer and anti-establishment. 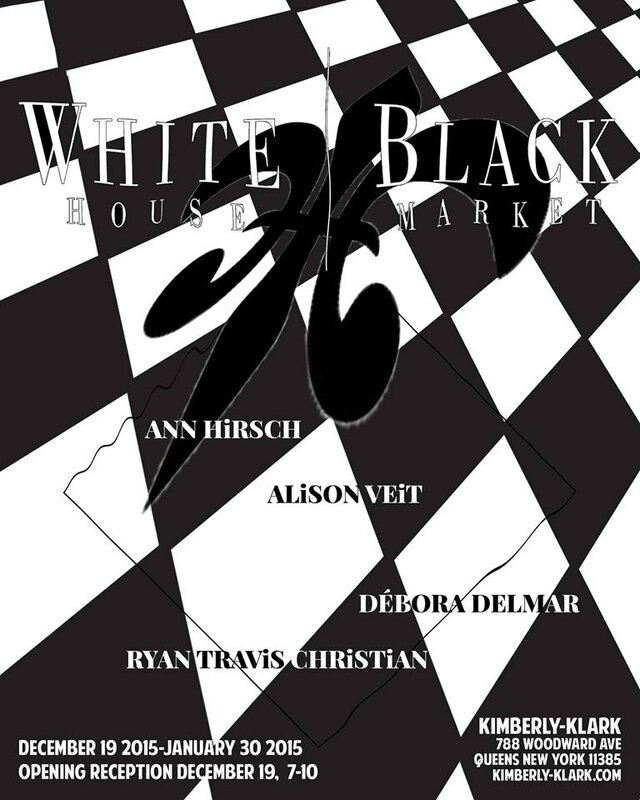 Kimberly-Klark gallery puts an artistic spin to the name of clothing retail company "White House Black Market" with the works of Ann Hirsch, Alison Veit, Débora Delmar and Ryan Travis Christian. Women's clothing brands, though intended to make customers "look and feel beautiful" can end up causing everyone to feel like they have to be the same. The distinctive works of these four artists comment on that strategy and competitive differentiation. Bushwick's version of Santa... could it be O.G. photog Rafael Fuchs? Fuchs Projects invites the neighborhood out to his new gallery/project space at 56 Bogart (inside the former Mellow Pages spot), for all of the photo booth fun and holiday celebrating you can handle inside of a Bushwick art gallery. 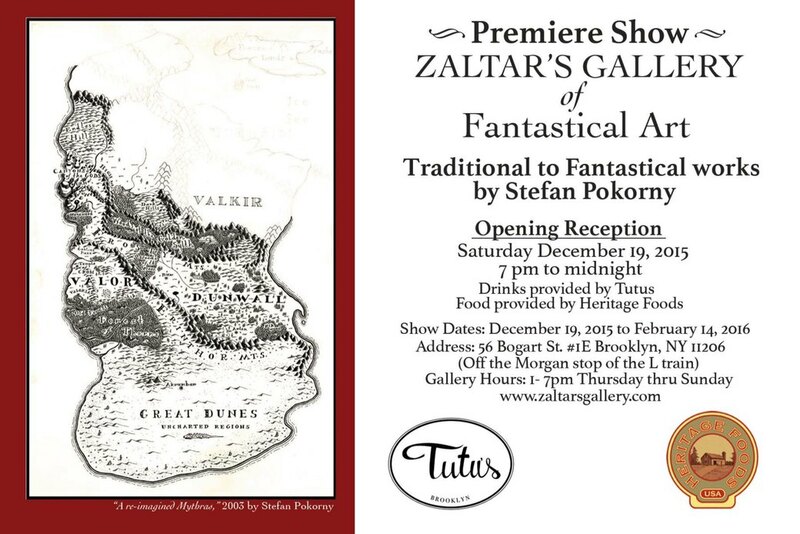 The event is in conjunction with the premiere show of Zaltar’s Gallery of Fantastical Art over in the former Fuchs Projects space. So Fuchs has a show plus celebration on Saturday night, and it's going on at the same time as the Zaltar's Gallery of Fantastical Art debut. 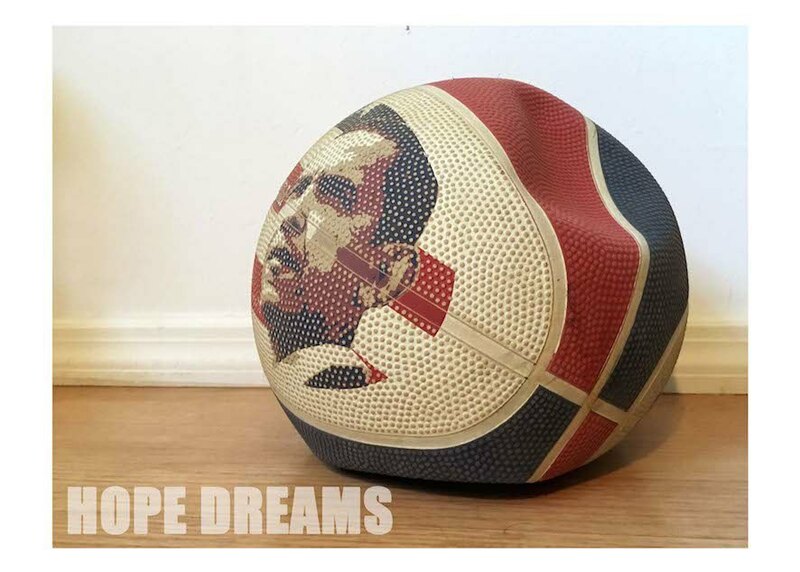 Owner Stefan Pokorny's premier event is 7 pm to midnight inside the old Fuchs Projects space. Make new memories inside this space where Pokorny will show the art of RPG games and the hobby of miniature painting and modeling. 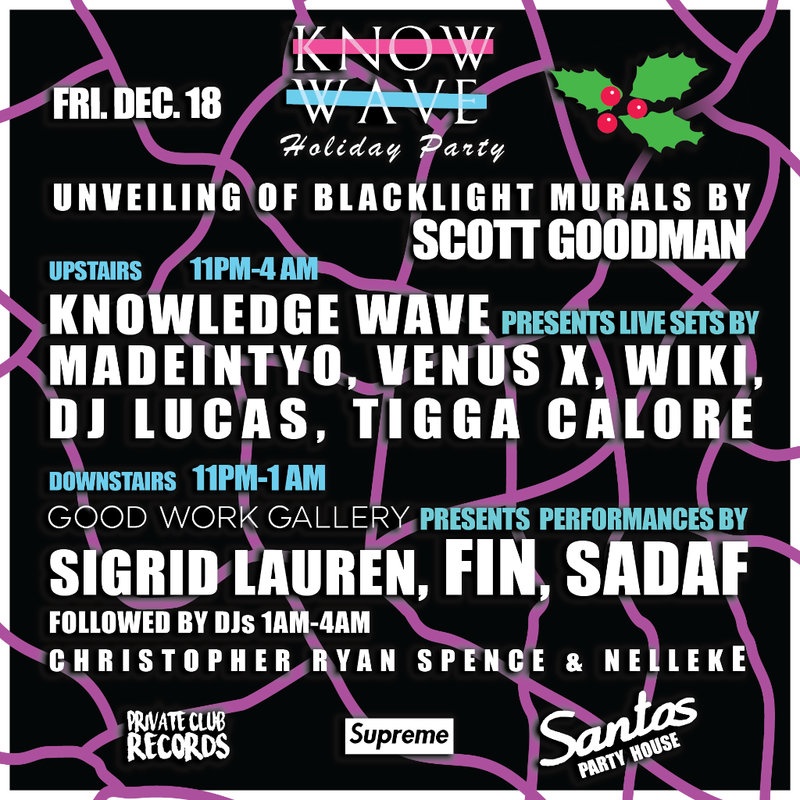 Good Work Gallery will be at Santos Party House this Friday night to unveil new light-activated murals by Scott Goodman. During a night of performances and holiday celebrations, the venue will give way to Goodman's iridescent works that only appear amid black light (hence the venue location vs. the gallery location). Described for its "rigid pattern" that is meant to relax and dissolve the space, the murals' foggy glow will undulate through the venue "like caustic light at the bottom of a swimming pool." ODETTA is hosting an artist talk on the current show "Kiosk," which opened on November 13th with works by Linda Cunningham and Levan Mindiashvili. An exhibition around the language of buildings and modern and ancient ruins, "Kiosk" was born from both artists' tacticle knowledge of the surface walls, metallic materials, and even the torn pages of the building kiosks. The artists will talk about their process and the larger context of the works on Saturday at 3 pm; you can also visit this weekend during gallery hours Friday - Sunday, 1-6 pm. "Hope Dreams" opened on December 11th at Fresh Window with work by Alexander Deschamps, Dan Lucal, Lilian Meisner and Joe Nanashe. Curated by Alexander Deschamps, the show will be up through the new year, until January 10, 2016. 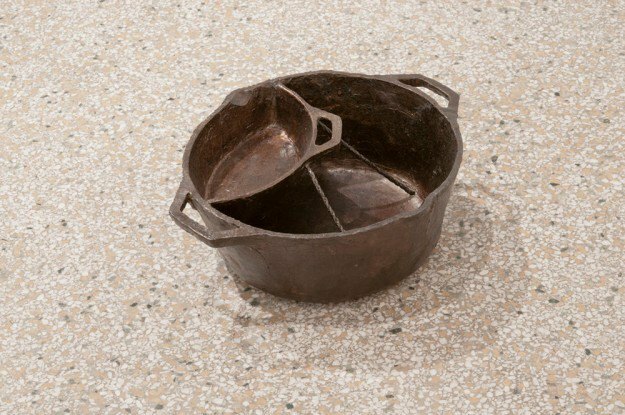 Michael Paul Britto’s “Shock & Awe” opened November 20th at Momenta Art, as a new series of works in combination with videos, a fabricated object, and collage works. The title, derived from the military doctrine "shock and awe" led to philosophical and anthropological questions concerning mimesis and transformation in Britto's works, filtering and bridging historical and contemporary experiences of the African American male. Now in conjunction with the show, the artist's LYNCHTalk screening will show inside of Momenta, this Friday, December 18th, starting at 7 pm. With a cavernous take on this 56 Bogart basement space, Lior Modan's "Wringing Lilies from the Pine Nut" actually benefited from the lack of natural ventilation and light. Modan's patterns, textural shrouds and "glitchy" combinations live there under a warm spotlight, the sculptural pieces, casted prints and paintings content with the uncomfortable moods they evoke. 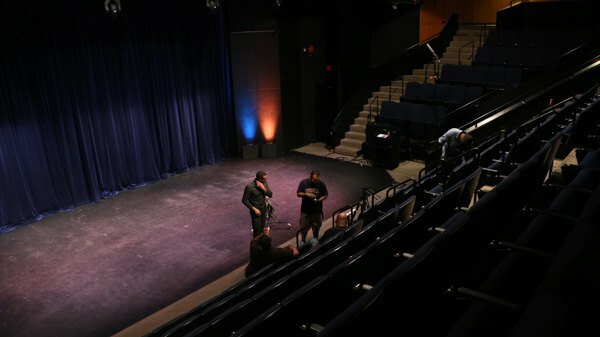 The show opened on December 4th and runs through January 10th, 2016.